Stringy Bark has exceeded all expectations in the Show Ring. This is not surprising given the consistency in his bloodlines on both sides – by Jarrah out of a Horatio HB daughter. 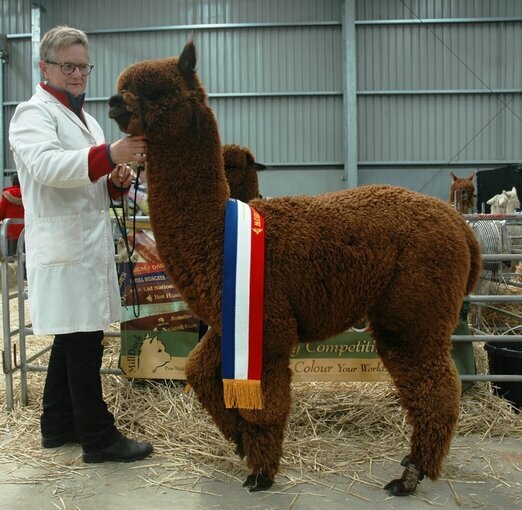 His full brother MillDuck Oregon won 20 broad ribbons including Supreme Brown at Colourbration and Best Brown in Show at the 2012 & 2013 AAA National Shows. 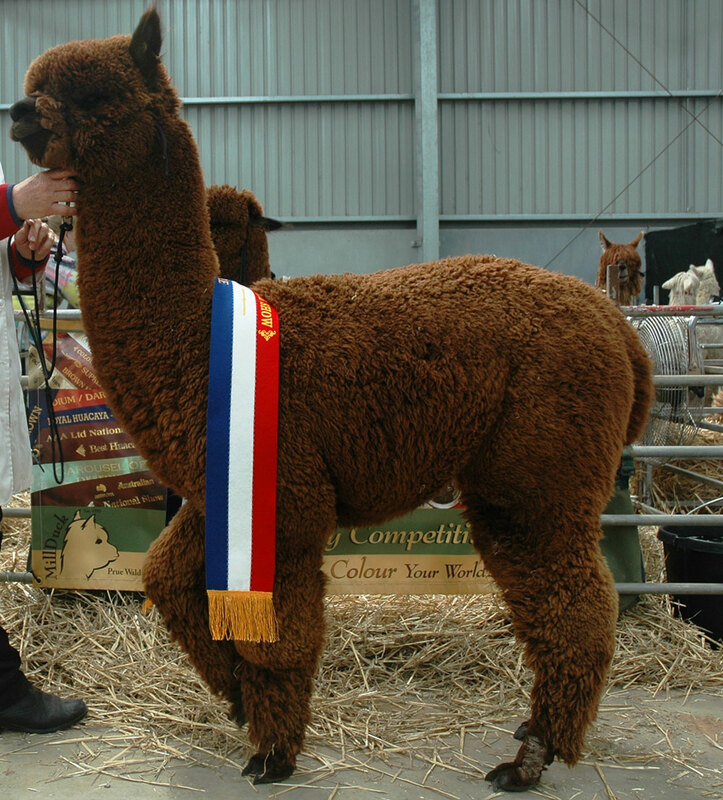 Stringy Bark has been to 18 shows and won 21 Broad Ribbons. He has been seriously considered in the final lineup of three for Supreme Champion at an Age Championship Show. Best Brown in Show (same as big brother Oregon). It was a “special moment” to have one of our “home grown” brown males take out the Reserve Champion at the Nationals - beating 59 intermediate males including the whites and light fawns from some of the biggest studs in Australia. His success has continued into the 2017 Show Season winning Supreme Brown at Carousel of Colours being the highlight. ​We love our Stringy Bark. Much to Stringy Bark's delight he commenced stud duties early this year. We can't wait for his first cria to arrive in 2018!